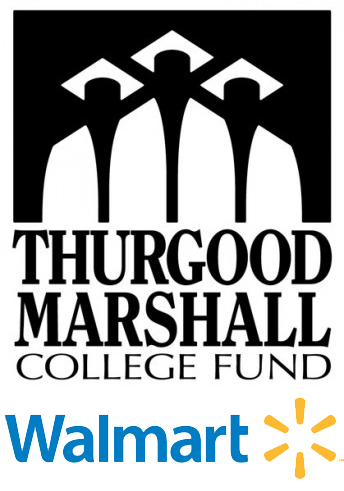 The Thurgood Marshall College Fund (TMCF) and Walmart Foundation are proud to offer financial assistance to outstanding students who will be incoming freshmen at one of the 47 publicly-supported Historically Black Colleges and Universities (HBCUs) within the TMCF member-school network. The TMCF |Walmart Foundation First Generation Scholars Program is open to graduating high school seniors with a minimum 2.5 GPA. Selected scholars will receive a campus mentor and a one-year merit scholarship of up to $6,200 for the 2016-2017 academic school year, which will be used to cover the costs of tuition and fees, on-campus room and board and required textbooks purchased from member-schools. The funds are applied in the fall and spring semesters at $3,100 per semester. A first-generation college student is defined as a student whose parent(s)/legal guardian(s) and siblings do not have a college degree. This means that you are the first in your family to attend a college/university and attain a bachelor’s degree. Applicants must be a first-generation college student, must be a citizen of the United States, must be a graduating high-school senior/incoming college freshman, and must be accepted to and prepared to attend one of TMCF’s 47 member-schools. In addition, applicants must have a grade point average of 2.5 or higher in high school, be recommended by a high school counselor, have demonstrated financial need through the completion of the FAFSA (Free Application for Federal Student Aid), and have demonstrated leadership ability through a variety of measures. The deadline for this scholarship is usually in JUNE of each year, and the award amount VARIES.